November 18, 2015, Wednesday from 4:00pm to 7:00 p.m.
November 18, 2015, Wednesday --- 7:00 p.m.
Albert ''Bert'' Hess died peacefully at UMASS Memorial Medical Center, Worcester, MA on November 12, 2015 after a courageous battle with Parkinson's. Bert was born in Quiet Dell, West Virginia on May 13, 1933 to William Henry and Ercel Mae Hess. Bert is survived by his beloved wife and best friend; Pauline "Polly" Rennie Hess. They were married in St. Paul's Methodist Church, Oakland, MD by Reverend Godwin on July 28, 1960 and enjoyed 55 years together. Bert was predeceased by his parents, his sister Helen Hope Hess, his brother Dr. James William Hess and his wife Wilda, and his infant sister Mary Alice. Bert graduated from Morgantown High School in 1951 and volunteered for the Korean Conflict. He trained at Camp Breckenridge, Kentucky, with the 101st Airborne and served in the Army Infantry in North Korea. Upon his release from the hospital at Camp Pickett, VA as a DVA, he returned to Morgantown, West Virginia and entered West Virginia University where he obtained a Master of Mathematics and a Bachelor of Science in Business Administration with High Honors. He received the Daniel S. Witschey Award given to an outstanding student majoring in Accounting, Finance, and Information Systems. He was elected to Beta Alpha Psi, an international organization for Accounting, Finance, and Information Systems. 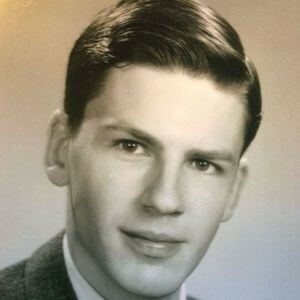 Bert also enjoyed actuarial courses at Northeastern University, Boston, and obtained several designations and titles from the American College. Bert worked at State Mutual Life Assurance (now Hanover) for twenty-five years and retired as an Assistant Vice President and Associate Actuary. Among his many responsibilities was the management of a Pension Support staff responsible for providing client accounting for investment fund products and support services for selling and servicing corporate and Keogh retirement plans for small businesses and disclosure of tax information. Friends and colleagues would not allow Bert to be retired and persisted calling for tax advice. As a result he and Polly opened a tax consulting business and had the joy of 15 years helping numerous wonderful clients with their tax problems. Bert also had the professional pleasure of serving on the Mathematical Faculty at Marshall University, Huntington, West Virginia and as an Adjunct Professor of Mathematics at Worcester Polytechnic Institute teaching Actuarial Science. He was the Statistician for the Provost at West Virginia University as well as a Research Associate for their Bureau of Business Research where he wrote and edited business statistical publications, and served as a Teaching Assistant in mathematics. Additionally, Bert tutored children in math and science at Cheat Lake and Arthurdale Junior High Schools in West Virginia. Bert had many professional designations. He was a member of the American Academy of Actuaries, a Fellow of the Society of Actuaries, an Enrolled Actuary, and Enrolled Tax Practitioner, a Chartered Life Underwriter, a Chartered Financial Consultant, a Fellow of the Conference of Actuaries in Public Practice and a Registered Representative and Principal of NASD. For many years Bert supervised the Society of Actuaries examinations for East-Central Massachusetts. Before his illness, Bert played the guitar and spent many happy hours collecting and listening to music, especially Country; with his favorite artist Ernest Tubb. Bert had an intense love and dedication to learning and helping others. He enjoyed his home, lawn, gardening, animal life and most especially, the magnificent felines he rescued and adopted. Polly wishes to thank the many people who have helped care for her husband; Sigrid Heinichen, Juliana Paul and Patricia Bonnevie; Bert's wonderfully skilled, loyal and steadfast nursing assistants and those who provided loving and thoughtful friendship with visits, special meals, music, wheelchair assistance and all the friends and neighbors who offered heartwarming surprises, thoughtful cards, and helping hands when challenges occurred.